If you are in debt then you will understand that the pressure you are under is enough to really make you dread even talking about money. Of course, if you have never been in debt before and this is your first time then there are a couple of things that you can do about this. The first thing that you will want to do is look at your expenses so that you can try and find out if you can cut back. This could include any magazine subscriptions that you have and it could also include any payments that you make to charities, phone contracts and more. When you have a clear idea of your finances and how you can save money, it is then very easy for you to get out of debt. This may sound obvious but if you want to get out of debt then it is very important that you stop using your debt to fund your own lifestyle. You need to stop signing up for any credit cards and you also need to stop even looking at things you don’t have the money to pay for. This will work in your favour if you opt for a bill consolidation or if you decide to go down a similar route. You may be thinking that an emergency fund isn’t important when you are so much in debt. After all, you may feel as though you are paying absolutely everything out of your bank and that not much is going back in. The truth is that when you get a bonus from work or even when you get some money from a friend, this should go into your fund. If you use your credit card to fund all of your emergencies then this will cause real problems for you and you may even feel as though there is nothing that you can do to get out of debt. By saving whatever you can, you can then be prepared for life’s emergencies at all times. When you develop your own budget, you can then track your expenses and this is very crucial if you need to get out of debt. When you have a budget, you can easily find out how much money is going out and you really would be surprised at how much money you can save by doing this. If you are struggling to make a budget and stick to it then you may want to start using an app or anything else of the sort as this can really help you to track your expenses while you are on the go and it is a great way for you to make sure that every little thing is accounted for, so make sure that you keep that in mind. Of course, if you have any concerns about your budget then work with your partner to find out if you can plan out your wages according to your house needs. Why you may get an installment loan may vary drastically from why someone else would seek out this type of loan. Even if you’ve been worried about adding a loan to your mix of bills, you might find that it can be a sound financial decision given the right circumstances. All you’ll have to do is to think about your current situation and how you’ll be helped by borrowing a small amount of money. One common reason many people will seek out affordable installment loans is that they have suddenly found themselves face to face with an unexpected expense. They might not have another way to cover the expense, especially if there isn’t a savings account to access. Also, even if you have a little bit of money in the bank, you might not want to deplete all your cash funds, as you never know when another unexpected expense can pop up. You’ll always want to exhaust all other options before you drain your savings. It is important to keep as much money in savings as possible. You might also have some interest in paying off overly expensive debt, such as credit cards with an extremely high interest rate. If the interest rate and the payment terms for the installment loan is better than what you’re dealing with on your current debt, you might want to pay off that old debt and then work on paying off the installment loan using a much better payment arrangement. Opting for installment loans for student debt is a great way to make sure that you are able to continue with your education, without backing yourself into a burden of debt that you will have a hard time paying off. You won’t even have to worry about delaying the start of your next semester because you can’t find the money for the new books or money for the classes that you’ll need. Once you’re ready to start applying for an installment loan, you’ll want to first make sure that you have a clear understanding of what you can expect and how you can better your odds of receiving an approval. First, look for a lender that has installment loan options that will fit your need for quick cash, instead of having to go through a payday loan company. As an alternative to payday loans, you’ll be able to borrow money with the security of knowing that you will be paying a fair interest rate and you’ll have easy-to-manage payment terms. As for what you need to apply, you’ll need to have your social security number handy, as well as proof of an active checking account, and verifiable proof of steady income. With that information in hand, you shouldn’t have much of a problem getting access to the fast-funding cash that you need to satisfy your current financial obligation elsewhere or the emergency that you’re facing. All you must do now is to make sure that you are gathering up all the information you’ll need for the application process. Then, contact your local lender to see how and when you can apply for the short-term installment loan that you’d need to help pull yourself out of this financial slump. Once you have completed the repayment of your installment loan, you’ll be very familiar with the process. This is helpful should you ever find yourself in the position of having to borrow money again. Right away, you’ll know which installment loan lender to go through and how to get the cash you need right away. Achieving an unsecured loan is a great option for developing or expanding your business as it yields considerable support towards capital funding. A sound source of acquiring capital is of great importance to those who are running their own businesses. Few of the loan providers will even ensure a fund transfer within 24 hours of processing your application. You must also understand the difference between natures of personal loans with that of business loans. Business loans are only meant for the growth and expansion of your business. In comparison to a secured loan, achieving an unsecured loan for your business tends to be a lot easier. In this case, you won’t need to show any collateral up front for your business. The collateral will be seized by your lenders if you’re not able to repay the amount borrowed under a secured loan. Your business property can’t be claimed by your lender if you’re not able to repay any unsecured loan. They can only claim it after obtaining a court order. Unsecured loans have often been discharged by courts when the owner of any business needs to file for bankruptcy due to an odd reason. However, discharging any secured loan only takes place under rare circumstances. Once your loan application is accepted, funds can be transferred to your checking account within a couple days by a majority of lenders. On the contrary, you’ll need to wait for a much longer period of time if you apply for loans with a bank. Your credit scores are of no use if you’re attempting to achieve any unsecured loan for running your business. The nature and command of your business will help you qualify. The lenders shouldn’t have any problem in meeting your demand if your business reflects a sound financial situation. The profits earned by your business will help determine your loan repayment amount. The amount repaid can well be adjusted depending on whether your business experiences profits or losses through the different phases. The idea is to make repayments more simplified without going bankrupt during trying times. You’ll always have the option to apply for a loan for as long as you have funds and your business is acquiring sales steadily. Your business can certainly survive against all odds when you’re in good standings. Applying for an unsecured loan yields an added advantage. You may qualify for this type of loan and it doesn’t take much time to determine your eligibility. 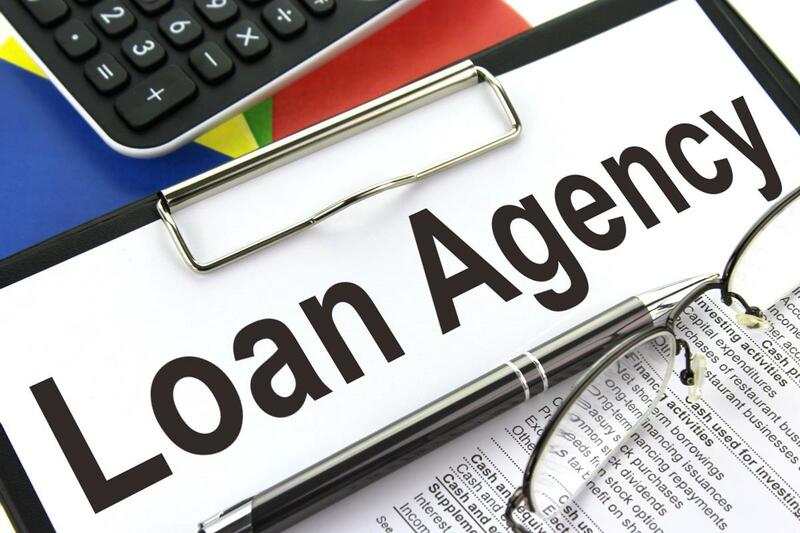 You may come across lenders that are able to provide you loans and transfer the funds within a single day, but you need to read through their loan terms prior to sign up. All you need to do is to send in your tax return document and your bank statements for the last 6 months to achieve your loan. You may acquire these loans worth up to 1 million, as the amount is based on the gross turnover of your business. Today’s loan market is a crowded place and borrowers are spoilt for choice. But when you’ve decided that logbook loans are your preferred line of credit, we’ll give you a few things to think about to help you pick a good, responsible lender. Logbook loans are one of the most widely used methods to get a fast cash injection. The format is simple, with all logbook loan lenders using your car as the security for your loan. So while it’s easy to get this type of loan if you’re a car owner, just like other loan types, some deals are better than others. There’s been a rise over the last few years, in a number of people having day to day financial difficulties. At the same time, there’s been an increase in the number of small, opportunist and often unethical logbook loan companies. This minority of companies will offer a quick loan, but will often use sky-high interest rates, big fees and sly tactics for dealing with any late repayments. So let’s look at how some logbook loan lenders like to operate and give you some pointers on what to look out for and what to avoid. We’ll then look at all these things to see how Car Cash Point would be a better option for you. Interest rates can vary wildly depending on the lender. This is true for all types of loan, whether they’re secured or unsecured and from a bank, building society or any other source. Even logbook loan rates can differ greatly. Some lenders can charge as much as 450% APR for their logbook loans. And although that seems particularly high, it’s not unusual to see. This kind of figure makes paying back your loan far more difficult, more expensive and longer to do. You should always check the lender’s APR interest rate first, then compare it against the rates of other lenders. It’s surprising just how much you could save, just by doing this simple check. For every loan applied for, it’s usual for the lender to undertake credit checks each time. This background check tells the lender whether or not you’re creditworthy and have a high probability of full loan repayment. It’s standard practice for the majority of lenders to do these checks, but that might not be good news for you. If you’ve had credit problems in the past, such as a CCJ or bankruptcy, this will be enough for the lender to deny your application outright. This hardline approach is used by all money lenders, including some logbook loan companies. If you know you have bad credit now or have had problems in the past, there is another alternative, so make sure you find a lender that does not use credit checks. Often the cause of financial problems getting out of control, lenders hidden fees and charges can be a borrower’s downfall. As with any agreement that requires a signature to get started, it’s advisable to read the small print before doing so. But it’s not so much the fact that details are buried in tiny terms and conditions, but that many lenders do not tell you about them up front in the first place. Hidden fees can be anything from more obvious things like a charge for a late payment to charging you for text messages, phone calls and letters. All of these can make your repayments get bigger and carry on for longer. A responsible lender will always be upfront with you about fees and charges, but if nothing gets mentioned, ask them during the application process. If you find yourself in a position to be able to repay your loan in full before the end of your loan term, it makes sense to be able to do so. However, not all lenders see it that way. The majority of lenders like to impose a minimum period, usually three months, before you can pay your loan off. So even if you’re able to, you won’t be allowed to, meaning you’ll have to incur further interest charges for no reason. Some lenders will even add an amount of interest to your current outstanding balance when you request early settlement. This is plainly just a penalty for wanting to settle early as it will prevent some lenders from making maximum profit from you. Again, always ask about this before you agree to your logbook loan and choose a lender that won’t penalise you for wanting to settle your loan early. Similar to paying your loan off early, some people may find a change in their financial circumstances allows them to pay more off their loan once in a while, beyond their agreed repayment amount. If you find you’re able to do this, it makes sense to have your future interest lowered accordingly. It might only be a slight change, but every penny can help. Every logbook loan lender should allow capital overpayments against the original loan amount. However, not every lender will adjust their level of interest accordingly, instead keeping it at the original rate, even though you’re able to pay more off. Some lenders will also have a limit as to how many times you can make overpayments as well. Both these things should be made clear at the loan application stage, but if you make overpayments, you shouldn’t be charged the same rate of interest. 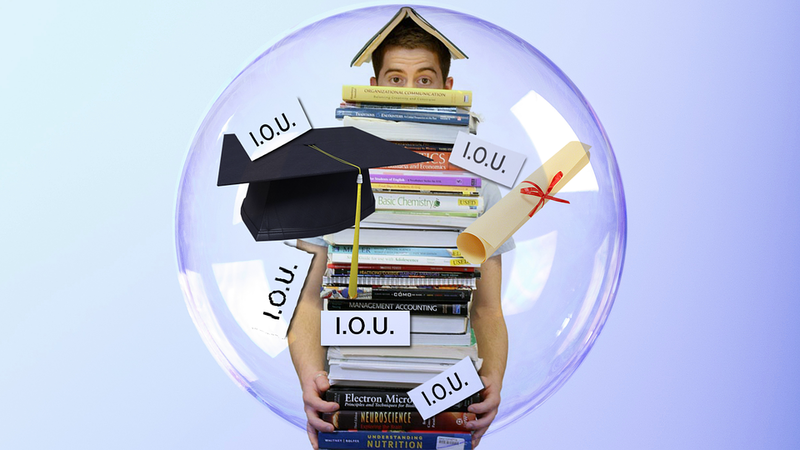 When you take out any loan, it marks the start of a fairly long repayment schedule that you need to maintain. Everyone’s finances and budgets are different, so it’s helpful to know exactly how much you’re paying and when you’re paying it. When you know this, it makes things a lot easier to manage, so choose a lender that will allow weekly or monthly payments that fit with your own finances. No lender should give you an unrealistic repayment schedule that will put you in financial difficulties. If they try to, do not accept it. If you’re not able to specify terms that suit you when you apply, find another lender who will let you choose. At Car Cash Point, we like to do things differently. We’re the cheapest and best value providers of logbook loans in the UK. We’re also authorised and regulated by the Financial Conduct Authority for the conduct of consumer credit as well as a member of the Consumer Credit Trade Association and therefore is fully compliant with its ‘Code of Practice’. All that simply means that we’re an ethical and responsible lender. Low interest rates: Being the best value logbook loan lender, our APR interest rate is capped at a maximum of 230%. This can be almost half of other lender’s rates and because of our lower rates, we will never be beaten on price. No to credit checks: Unlike other lenders, Car Cash Point do NOT carry out any formal credit checks. Your application will have no effect on your credit score whatsoever. And if you have credit problems or have been refused credit in the past, don’t worry – we should still be able to help you. No to hidden fees: Car Cash Point never have any hidden fees or charges. Any fees are made clear to you upfront, so you don’t get any nasty surprises. Plus, we are the only lender in the UK to offer a price guarantee – if you find a cheaper quote from any other UK logbook loan lender, we’ll beat it by 10%! Yes to early settlements: We don’t believe in penalising you for paying your loan off early. Car Cash Point is the only UK logbook loan lender that lets customers settle their loan at any time – 100% penalty free, even after just one day. Yes to overpayments: Car Cash Point is the only UK logbook loan lender that allows capital overpayments and then charge reduced future interest on the lower balance. We also have no restriction on the number of times you can make overpayments. Repayments that suit YOU: To make things easier for you, Car Cash Point is the only UK lender that offers you a choice of either weekly, fortnightly, four-weekly or monthly repayments. Giving you this choice lets you manage your budget according to your finances. Remember, it’s not how much you can borrow, but how much you have to pay back in total that’s key. So if you’re looking for a flexible, great value logbook loan, visit Carcashpoint.co.uk or call 0333 220 4419 and speak to one of our expert advisors today. We’ll never be beaten on price or service! Are you the kind of person that worried about borrowing and the effect it will have? 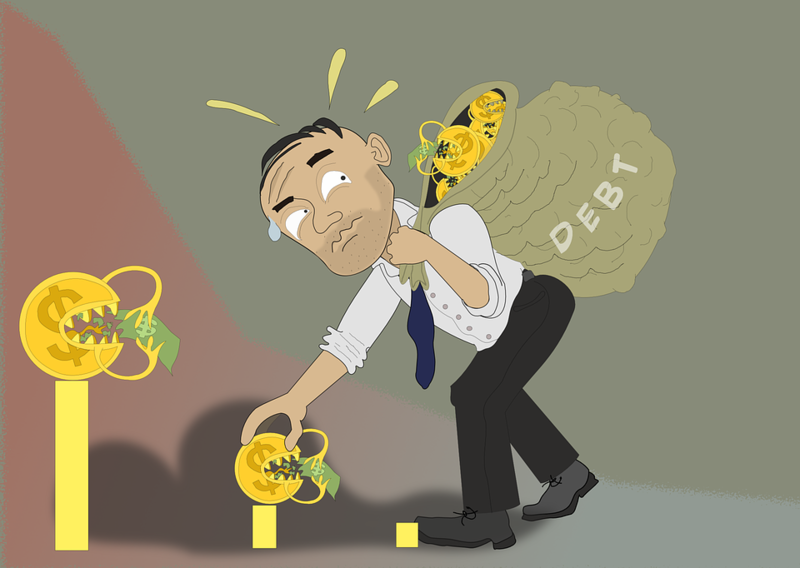 Sure, debts can be disastrous; that’s why you should always be careful and cautious when borrowing. That’s not always easy to do, though. However, it’s worth learning more about borrowing and how to do it safely if you want to take out a loan with confidence. That way, you won’t have to worry about it too much. Your mind will be clear, and you’ll be able to take the steps that need to be taken. Making sure that you borrow in a way that is cautious and careful will help you to avoid all of the common mistakes people make. That can only be a good thing for you and your own financial future, so it’s something you should definitely do. Below, you will find some tips and guidance that will help you to borrow in the right way. Take the time to read it all and make sure that you understand what you’re getting into before you take out the loan. First of all, you should question whether or not borrowing is the right move for you at all. It could be the case that you’d be better off doing something else instead. It’s a simple case of looking to avoid debts that could cause you trouble later on. If there is an alternative out there that’s better than borrowing money, then it definitely makes sense to take it. For example, you could get an advance from your boss. Or you could borrow money from a family member on a more casual basis. Or you could cut your expenses and use the money you save to spend on whatever you want. However, if none of those options are possible, you’ll need to borrow. There are so many types of loan out there, and you really do need to understand them before you borrow. When you know more about the possibilities on offer, you can be sure that you will make the right financial choice for you. In particular, you should be aware of the various risks that are attached to each type of loan out there. If you can build up your knowledge, you won’t ever need to miss a trick. You won’t want to take out the wrong kind of loan if it means that you end up in a worse financial situation than you need to be in. Talk to a financial advisor if you want to be 100% that you know what you’re getting into. If your main motivation for borrowing money is to pay off existing debts, you should be very careful. This is not always something that is advisable. When you do this, you’re liable to get even further into a debt spiral that could become disastrous for you. To put it simply, piling debts on top of debts doesn’t often turn out well for you. There are some circumstances in which borrowing can be used to alleviate existing debts, but it requires a particular kind of loan. They are known as consolidation loans, and they are used to pay off numerous small debts. They replace them with one large one, which should be easier to manage. The main distinction between loans that you should be aware of is the difference between secured and unsecured loan. When a loan is secured, it means that it is secured against something you own. This could be your house or another expensive asset of yours. So, what does this mean in reality? Well, it means that the lender could take possession of the house or the other asset if you fail to make the repayments. So, you need to be aware of this before you go ahead. That’s why unsecured loans are generally considered to be much less risky for borrowers. Assess your circumstances and decide which option will be best for you. There is a real risk of borrowing from loan sharks when you are not careful about who you borrow from. Loans sharks don’t always look like dark and shady characters. In fact, they often look the same as your ordinary bank manager. They put on a suit, look professional and manage to win more people over this way. But make no mistake, these people are criminals, and they will stop at nothing to get their money back. So, you should only ever borrow money from a recognised lender. They should be recognised by the relevant industry bodies and be known to the public. If you’re not sure, ask questions. Never borrow unless you’re sure they are a legitimate company. You should always make sure that you shop around when you’re about to take out a loan. If you fail to shop around and look at all the options, you could miss the deal that’s the best one for you. Everyone knows that shopping around pays off. But that doesn’t just apply when you are buying a car or a home. It’s just as important, maybe more so, when you are looking for a loan to take out. There is no way to find out whether or not you are getting value unless you compare offers and deals. There should be no difference between the way you would shop around when purchasing any other item, so don’t neglect this. If an installment loan is what you’re looking for, there are plenty of online lenders to consider too. Loan insurance is one option that will be available to you when you take out a loan. You should think very carefully about whether this is something that will be good for you or not. For some people, loan insurance can help them out when something goes wrong. But for most people, loan insurance represents a waste of money that is probably not worth paying for. It’s all about deciding whether going without loan insurance is a risk you want to take or not. That’s for you to think about, but don’t make a decision without considering all the ramifications first. There is always a temptation to lie when you are applying for a loan. People think that if they present themselves and their financial situation more positively, it will make them more likely to be approved. Even if this is true, and it often isn’t, it’s still not a good thing for you to do. Banks have rules in place for a reason. If they don’t want to give you a particular loan, there will be a reason for it. It might be the case they don’t want to put that level of financial burden on you because they don’t think that you will be able to cope with it and pay the money back. Check your credit score before, during and after taking out a loan. You need to be aware of it before you apply because it could affect whether or not your application gets approved. Make an effort to improve it in the months leading up to your application. And when you have the loan, be sure to meet the repayments on time, every time. If you fail to do that, your credit score will take a battering, and you will have to deal with the consequences of this later on, which is never much fun. So, keep an eye on your credit score and think about how you can keep it in good shape. Before you even take out the loan, you should be sure to have a repayment plan in place. When you do, you can be sure that the debt will be manageable for you. If you feel like you will be spending too much on the repayments and your margins will be tight, it might be better to borrow less. Either way, planning out how you will pay the money pack in advance of taking out the loan is very important. Not doing this would be a big mistake, but it’s one that many people make. It’s not always a great idea to only pay back the minimum amount required of you. This might seem like the best option. But if you can, you should definitely try to pay back more. You’ll be making those repayments forever if you are only paying back a small amount each month. And that means you’ll have to deal with more interest as well. Therefore, think carefully about how much and how fast you can afford to pay back the money. The sooner you do it, the better. As per recent reports, a top banking regulator warned that the $1 trillion auto loan industry is gradually getting pretty dangerous in 2016. There is unprecedented growth in auto loans, shrinking values of cars and a sharp rise in auto loan delinquencies, as per the Office of the Comptroller of the Currency. The banking watchdog also put emphasis on the cut-throat competition within the banks which finally led them to make the underwriting standards more lenient than before. Risks in auto lending keeps growing and the OCC stated in its annual report mentioning the details of the key risks that are faced by the US banks. Neither did the OCC call out the names of specific banks which are threatened by auto loan lending issues nor did they mention that this issue might pose to be a great risk to the financial system at large. Nevertheless, the report echoes certain concerns which have been raised by other regarding car loans, particularly the subprime or the low quality ones. Jamie Dimon, JP Morgan Chase boss recently opined in an industry conference that auto lending looks stretched in spite of the banks being careful about issuing them. Earlier in 2016, Fitch Rating pointed out the fact that the rate of delinquent subprime auto loans has reached their highest level since 1996. The volume of auto loans recently exceeded $1 trillion, a figure that is up by more than 45% from the latter half of 2009. What is the reason behind this statistic? Well, Americans are seen to have buying a large number of cars, with sales hitting a record high level since 2015. Since cars have become more expensive, the loan amounts are also bigger and the defaults too. Wells Fargo and Ally Financial are 2 of the largest providers of auto loans in America. The OCC warned that the banks may face bigger losses from sub-prime auto loans and they may require setting aside enough money to cushion themselves against those losses. Some risk management practices of lenders have not kept pace with the increasing risk and growth in portfolios. There is too much of indirect auto lending where banks offer cash to dealers to lend to people who are about to buy cars and this is yet another risky area which can watch out for ‘significant fair lending risk’. Comptroller of the Currency Thomas Curry had once again raised the red flag previously about auto loan ending warning the lenders that some activity in auto lending reminded him of what took place in mortgage-backed securities in the run-up for the crisis. Auto lending has recently seen a sharp rise than before due to the lower interest rates, strong consumer demand and cheap gasoline prices. During the financial crisis too, the auto loans performed relatively well and market watchers interpreted this as the sign that the car loans are safe enough as cash-strapped people too had to pay for transportation costs. Auto lenders also have simple time collecting collateral on a defaulting auto loan by repossessing the car just as they do foreclosing on a house which is covered by a bad mortgage loan. So, it is important to remember that auto loans don’t seem to pose the systemic risk which mortgage loans did before they started facing the Wall Street meltdown in 2008. Overall, auto loans make up a smaller universe of lending as compared to mortgages. Banks too are even pretty stronger to deal with any possible losses due to auto loan defaults.